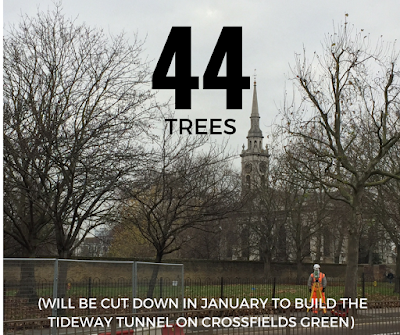 Thames Water subsidiary, Thames Tideway, has confirmed that they intend to cut down the trees at Crossfields Green from 16 January 2017. 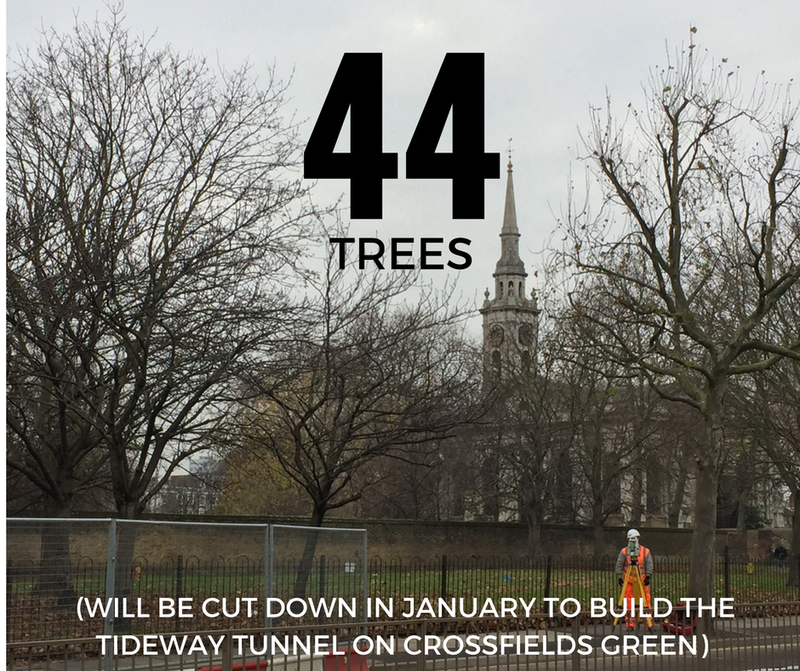 In all 44 trees will be cut down on the green and another on Deptford Church Street itself. See the Don't Dump on Deptford's Heart website for details.